MAGNUM-FORCE SURFACE GRINDER CHUCKS by Suburban Tool, Inc.
Made with ceramic magnets for superior holding power. 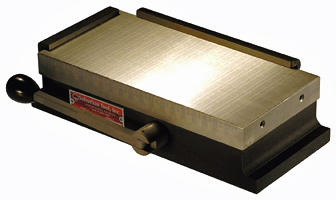 Stationary magnets in the top plate and a movable magnet core provide an average holding power of 90-100 pounds per square inch. This is twice the power of a standard chuck. A rigid work surface is provided by laminated and brazed top plate. 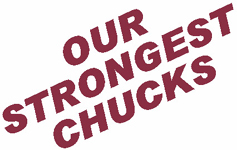 These chucks provide maximum holding power of both small & large parts, due to combination fine / standard pole spacing. Low height for more work clearance. Two hold-down clamps, one side rail and one end rail are included.